You probably remember seeing JB's newborn session on the blog last summer. His parents keep a very impressive garden at their house and we took some of his newborn pictures there. 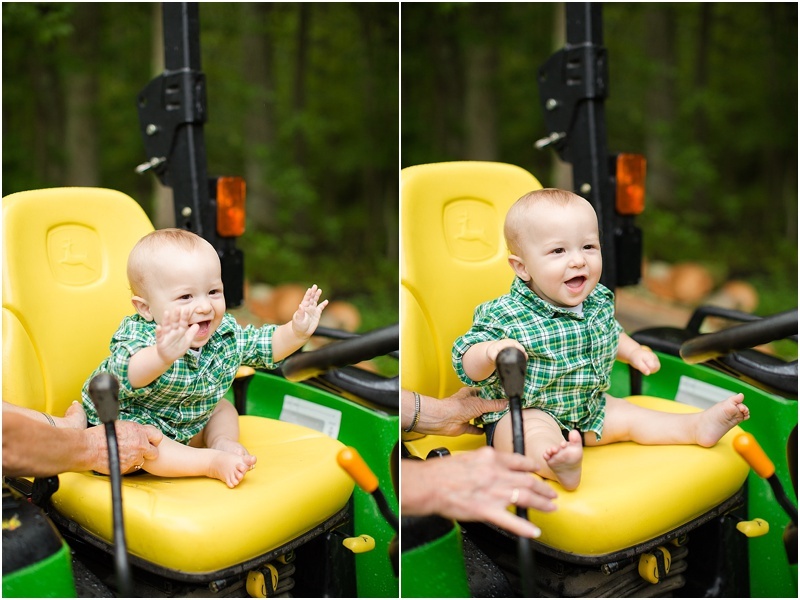 This year their garden has grown and keeping with JB's John Deere 1st Birthday theme, we opted to have his 1 year session at their house where we could incorporate the garden and a real John Deere tractor! JB didn't seem to mind that it was a rather rainy morning, and even got to sneak his grandma's in for a few pictures!